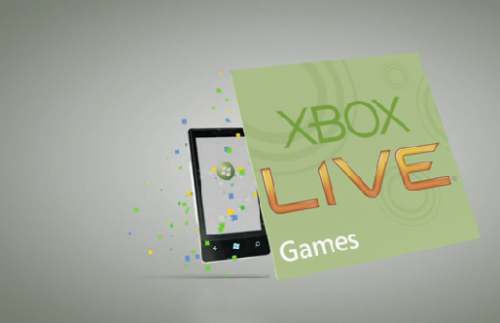 Nearly since the first mention of a Windows mobile ecosystem, we’ve heard about Xbox LIVE integration. Part of the WP7 lure has and continues to be the fact that a Windows smartphone will have the ability to keep you constantly connected to and even using your Xbox LIVE account. And since that mere mention, we’ve been waiting patiently to see how exactly XBL will sync up with Windows 7 phones. We recently reported that the forthcoming Mango update will include this upgrade, but details and what this connection would mean have been sparse. But at the Seattle GameFest conference, GeekWire was able to capture a demo of how WP7 will link with XBL. Using the Kinectimals game for Windows Phone, Microsoft showed how users will be able scan a QR code from the phone to a Kinect sensor and let the two devices share game information and progress back and forth. It’s seems like something of a simplistic way to sync your Xbox account and game up with your phone. But demonstrators mentioned that this was used by the Kinectimals developers, leading us to believe it’s not the only method that will be used for connecting your Windows Phone 7 to your XBL account. We recently heard about a rumored upgrade to the Xbox dash, which included a tool called “Discoverability.” The proposed application allows your console to find other devices, like smartphones, and interact with them. This, perhaps, is another way you’ll be able to access and utilize your XBL account – and one that won’t involve scanning. It’s an obvious a solution and one that works just fine – but we’re wondering how Microsoft plans to do this with non-Kinect titles. But in the demo, it’s mentioned that Kinectimals is obviously for young children, and turning to a simple solution for connecting the phone to the console was a priority. WP7 Mango is supposed to launch September 1, and hopefully we’ll see a more thorough introduction to XBL integration.